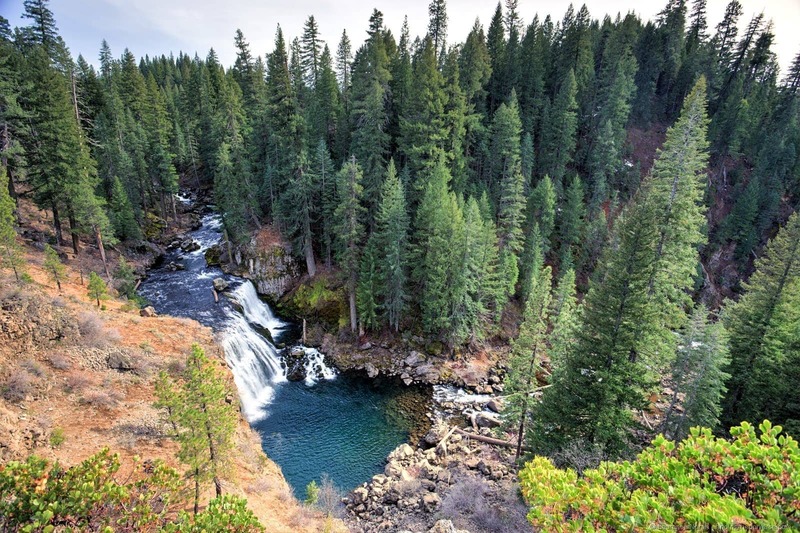 Up in the northeastern part of California, around a 3.5 hour drive from San Francisco, is the city of Redding, found in the Shasta Cascade region. This part of California is excellent for lovers of the outdoors and landscape photographers like me, offering mountains, lakes, potentially live volcanoes and of course, hiking and photo opportunities galore. We were invited by the nice folks of the Shasta Cascade regional tourism office to experience some of what their region has to offer. We packed our three days in Redding and surrounding areas full of activities to try and take in as much as possible – here are some of the things we got up to, and some recommendations for planning your trip should you choose to go yourself. 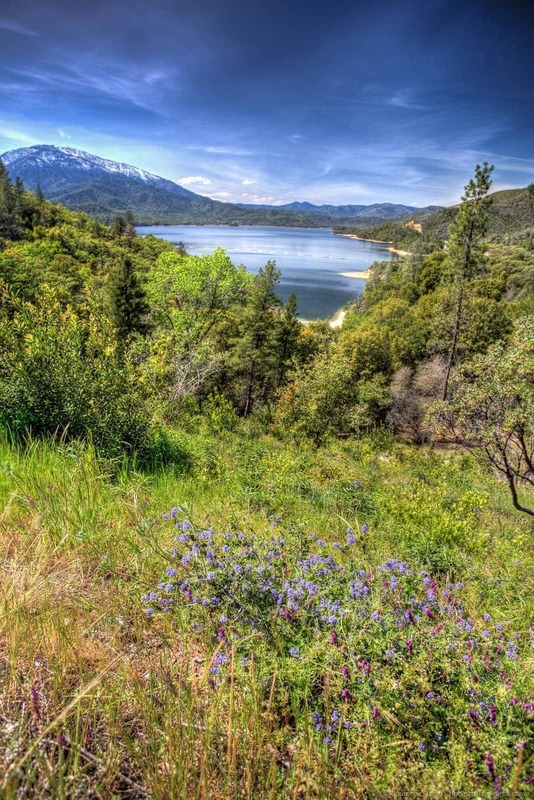 About six miles from Redding, and just past Shasta City (see below), is the Whiskeytown National Recreation Area. This is a gorgeous park, featuring a lovely big lake (Whiskeytown lake) as well as a plethora of outdoor activities, from hiking to kayaking. 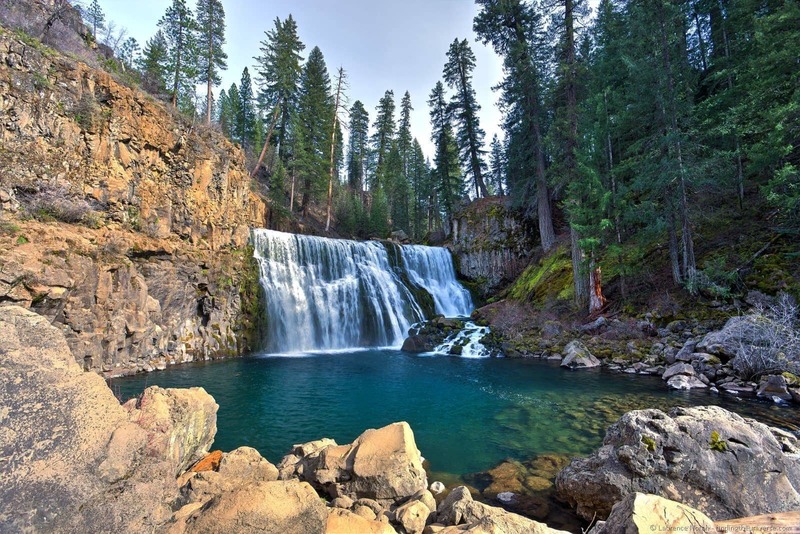 One of the highlights of the reserve are the four waterfalls that you can hike to, Whiskeytown Falls, Boulder Creek Falls, Brandy Creek Falls, and Lower Crystal Creek Falls. 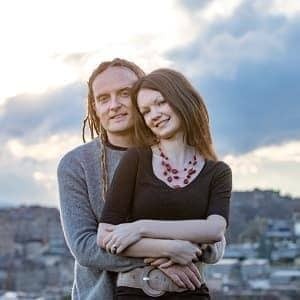 In a perfect world of course you’d want to try and do all these activities and take in all the waterfalls (which will earn you a fully stamped Waterfall Passport!). However, if like us time is not on your side, then we’d suggest you dop in at the park office just off the highway, first to get an excellent view of Whiskeytown Lake, and second to get fully up to date information on the trails, and which waterfalls are going to be best to visit based on your fitness levels and water flow. More information on the falls and trail maps to help you plan your visit can be found here. Before the railroad came to the area, Shasta City was the place to be. This was the town that served as the epicentre of the gold rush in the region, and in the late 19th century this was the region’s focal point.. Unfortunately, being up in the hills made rail access a challenge, so when that technology came along and stopped at Redding, around six miles away, businesses and people moved to where the action was, and Shasta City was largely abandoned. 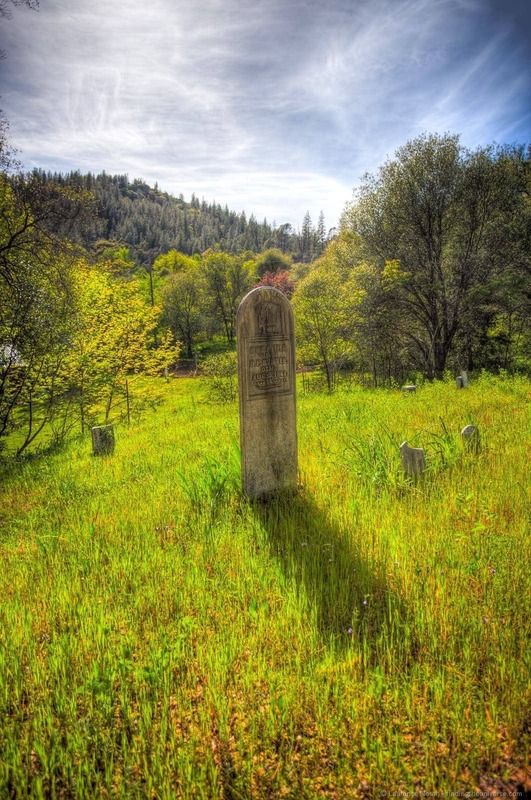 That’s good news for us, because the town is now designated as a historical park – the Shasta State Historical Park – and you can wander amongst the ruins to get a feel of what life here might have been like back in the day. Which is exactly what we did, guided by one of the park rangers. Many of the buildings are mere shells of course, when the original businesses left, many of them took the bricks with them! But there are enough standing to give you a good idea of what the main street would have looked like. The highlight is the restored courthouse and jail, which also serves as a museum of the town’s history and people. The park is just off the highway, and you can wander the ruins whenever you like, but for access to the museum you’ll need to visit during opening times, which are Thursday through Sunday. There are dozens of waterfalls in the area surrounding Redding, so if you love waterfalls as much as I do, you’re going to be spoilt for choice. We took a trip up north from Redding to take in two of the more impressive falls in the region – the Burney Falls and the McCloud Falls. 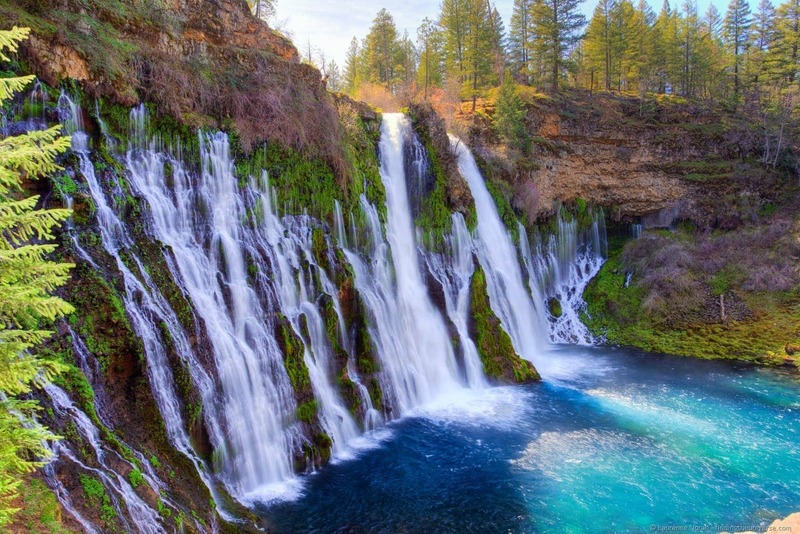 Our first stop was Burney Falls, in the McArthur-Burney Falls Memorial State Park. Waterfalls can be a bit hit and miss, depending on weather conditions and water availability, and with California in the midst of a seemingly never-ending drought, you might think that waterfalls would be more miss than hit at the moment. 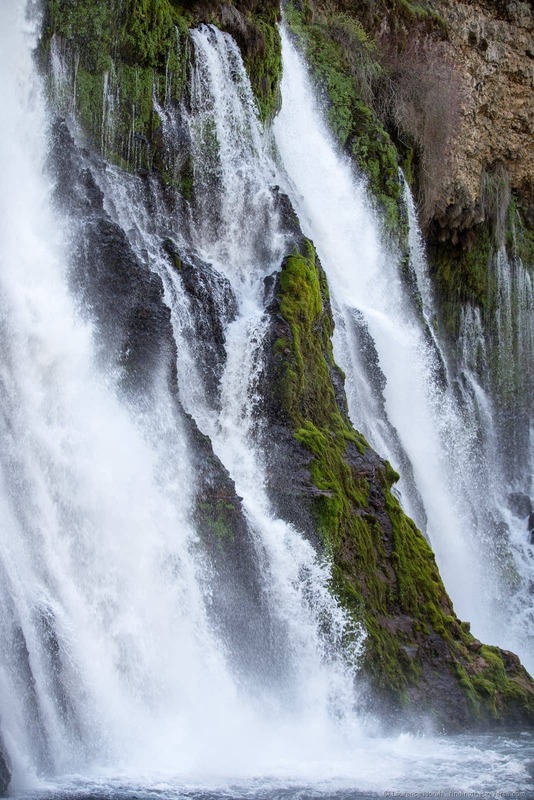 Well, it turns out that Burney Falls are reliably awesome year round, with a 40 metre drop and 380 million gallons of water going over the edge every day, sourced from underground springs that keep that flow going even when it’s the dry season. As you can imagine, that much water makes for a hugely impressive waterfall, which was wonderfully photogenic. After Burney Falls we headed up to the McCloud River Falls, which are a series of three falls on the McCloud river. From Burney Falls this is approximately a 30 minute drive north. 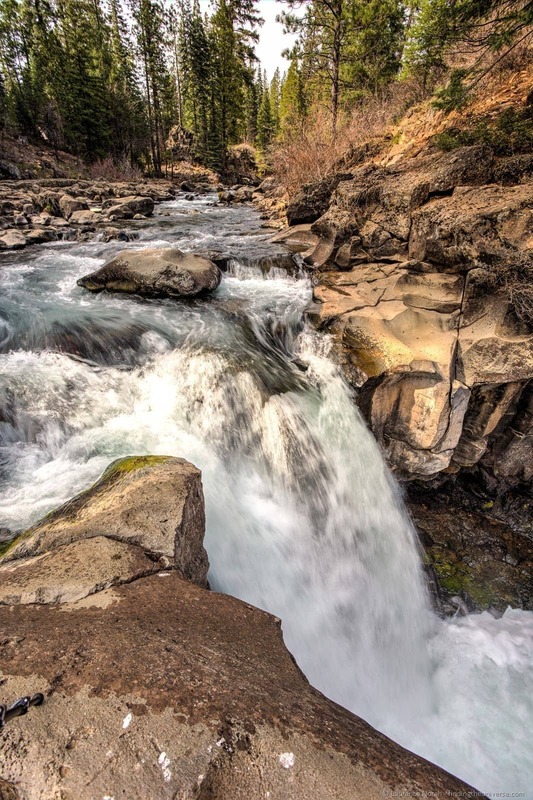 The three falls are named the Upper, Middle and Lower falls, and they can be reached either via the 3.8 mile long river hike, or, if you’re short on time, you can drive to all three falls via the paved road. A short walk is required to see the Upper and Middle falls, with the lower falls visible pretty much from the car park. It’s worth visiting all three falls as they all offer something a little bit different, and if you have the time and energy, do make sure you hike down to the base of Middle Falls for the best view. In Redding itself, there are a number of options for things to do. Two of my favourite activities were visiting the Sundial Bridge, and taking in the Turtle Bay Exploration Park, which are conveniently located next to each other. 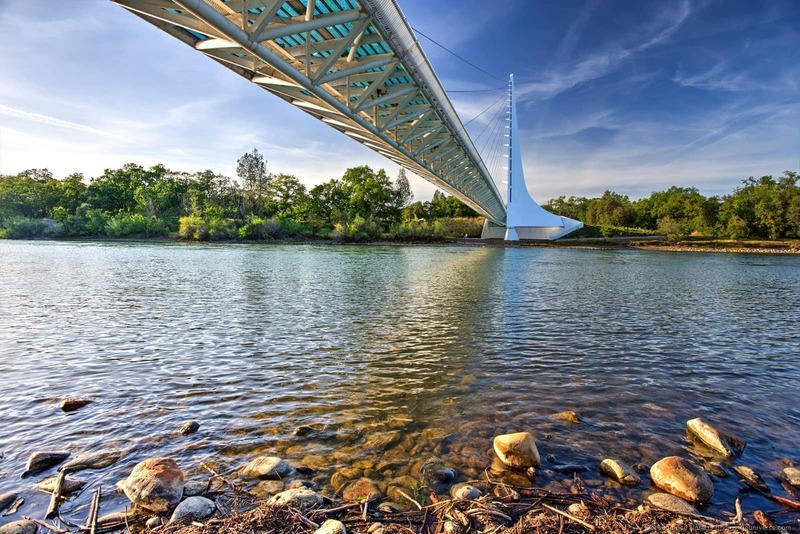 The first, the Sundial Bridge, is an impressive 700ft long glass floored construction which spans the Sacramento River, offering pedestrians access from the Turtle Bay Museum to the Arboreteum on the other side. It’s also a part of the Sacramento River Trail, a 16-mile trail which is a highlight of Redding’s 80 miles of trails. Whilst controversial at the time due to the price tag (over $18 million), it’s hard not to be awed by the flair of this design, with the main feature being that giant cantilever tower which both supports the weight of the bridge, and as the name might suggest, acts as the time-piece for the sundial. Yep, this bridge can tell the time, although, given that it’s accurate only one day a year, I wouldn’t replace your watch just yet. This pedestrian bridge is quite wonderful to walk over at any time of the day, but is especially popular at sunset and as night falls, as it is illuminated. I visited a number of times to take pictures, and particularly enjoyed the view from the Turtle Bay side down by the river, where you can capture the span of the bridge and the glass underneath. Heading east along the trail you can also get some great shots of the sun setting behind the bridge. Ok, so that was four paragraphs about a bridge. I’ll move on now to the Turtle Bay Exploration Park. This is a fairly large complex, the central focus of which is the museum, which houses displays on the surrounding flora and fauna, with particular focus on the Sacramento river which flows by right outside. There are also occasionally special exhibitions – when we visited there was a whole section of the museum given over to the history of candy, which was very interesting – particularly the free jelly beans! It’s an educational centre with hands-on activities, and certainly seemed popular with the school groups that were passing through. This was also the case for the outdoor wildlife park which housed a variety of interesting wildlife, from porcupines to foxes to parakeets. The latter are really fun – you’re allowed into their “playhouse” to feed them, and they get really up close and personal with visitors, sitting on heads, arms and hands in the quest for a bit of food! Entry to Turtle Bay when we visited was $16 for an adult and $12 for children and seniors, which grants access to the Museum, Forest Camp, Parrot Playhouse and the Botanical Gardens on the far side of the river. If you have kids, it’s a no-brainer. More information on opening hours, ticket prices, special events and membership can be found on the Turtle Bay website here. 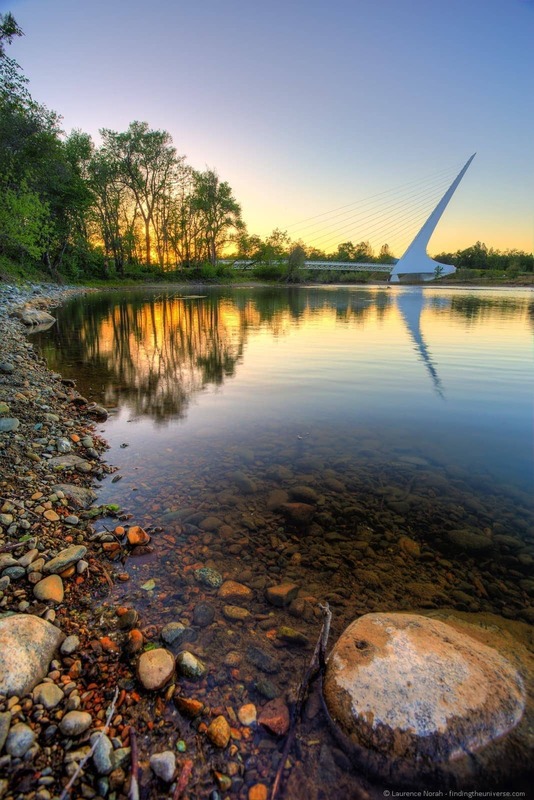 The Sundial Bridge is certainly the most famous of the bridges in Redding, but is by no means the only bridge in town. 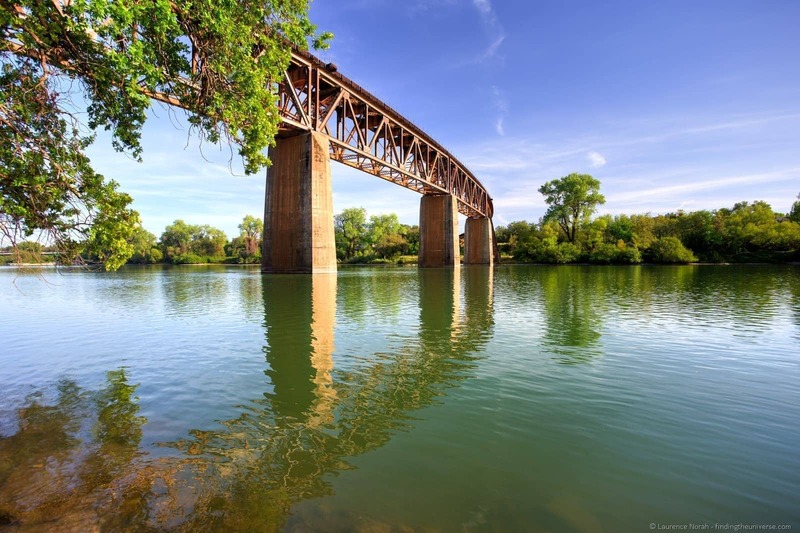 Another bridge worth visiting is the Diestelhorst bridge, built in 1915, and is the first and oldest concrete bridge across the Sacramento. Ok, so that might not sound spectacular, but I did enjoy the views from this bridge, both of the river, and of the awesome wooden rail bridge that spans the river just a little way upstream. Another good spot for photography! 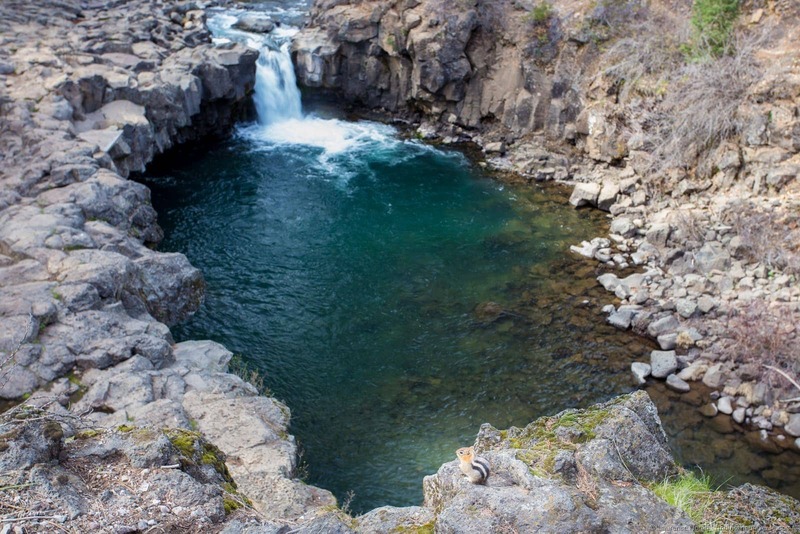 The Shasta Cascade region isn’t all above ground activities like bridges, waterfalls and lakes. Although if it was, that wouldn’t be a bad thing. You can also get underground, taking advantage of the fact that the area has a lot of limestone. 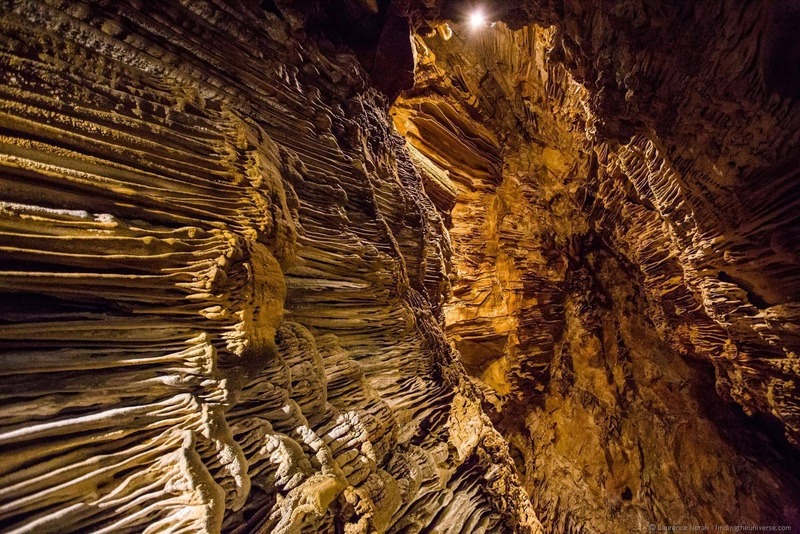 Limestone, of course, means caves, and Shasta has some excellent caves to visit – the Lake Shasta Caverns, which you can visit on a tour. 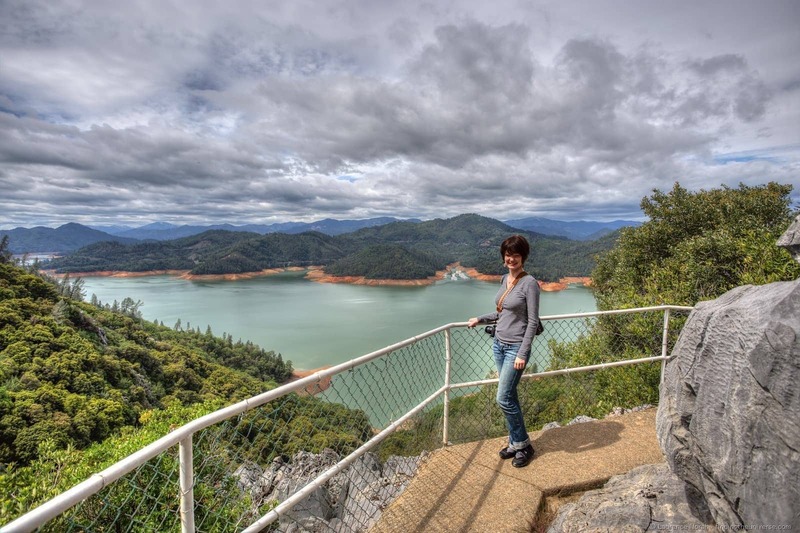 This is a cool tour to do because it includes not just the caves themselves, but also a boat-ride across Lake Shasta, and even a bus ride up a hill. The latter is more exciting that it sounds due to the spectacular views in affords. We really enjoyed this tour, more than I was expecting to be honest. Despite having seen a lot of caves, this whole trip, with the lovely boat ride followed by the hour or so cave tour accompanied by an amusing and well-informed tour guide was really a lot of fun. The grand finale, in the cathedral room, was particularly impressive. Very much worth it. Pricing when we visited was $24 for an adult, and $14 for children aged 3-15. For ticket purchase and more information, including up to date opening hours, see the website here. Note that this trip does require climbing a lot of steps, so a basic level of fitness is advised. Lake Shasta is not a naturally formed lake, it was created as a result of the building of Shasta Dam between 1938 and 1945. When it was built, using a similar technique to the Hoover Dam, it was regarded as one of the greatest civil engineering feats in the world, and even today the Dam is impressive, measuring over a kilometre in length, and towering 600ft above the valley below. It’s free to visit the dam, and tours are offered which allow you to explore the history and making of this impressive concrete structure. We’d advise taking a walk out to the centre of the dam to appreciate the construction, as well as for excellent views. 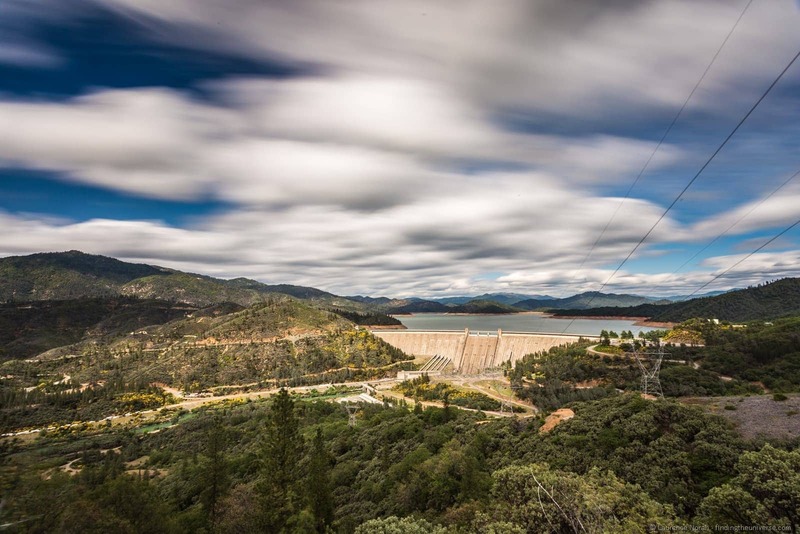 It’s also worth taking the scenic loop drive to and from the dam, which offers excellent views of the surrounding area, and on a clear day, will let you see all the way to Mount Shasta. 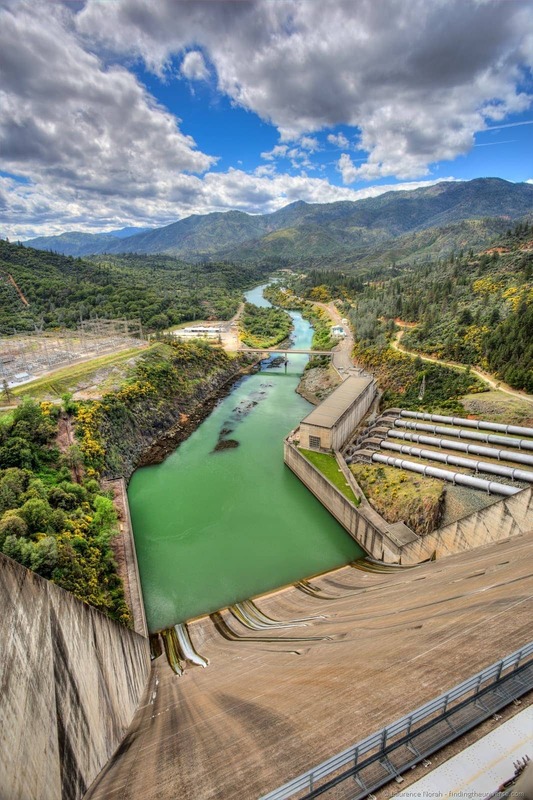 More information on Shasta Dam can be found here, with detailed tour information here. Obviously, the time of year you visit will depend on the activities you want to do. 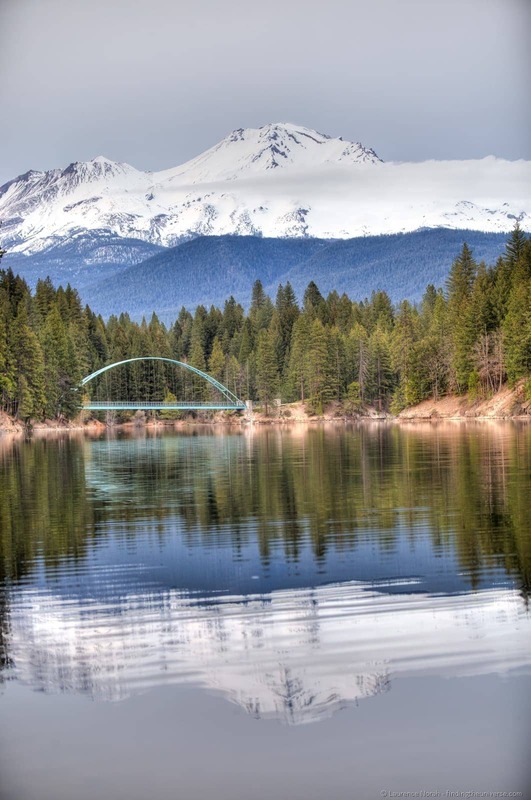 The Shasta region has four distinct seasons, with cold winters and hot summers. If you want to ski on Mount Shasta, obviously you’ll want to visit in Winter, but for the majority of the activities on this list, we’d suggest coming in either Spring or Fall – you’ll get moderate temperatures that are perfect for outdoor adventures, and you’ll avoid the scorching heat of the summer. The best way to explore Redding and its surrounds is with a car, so our advised way of getting here would be by car. If you don’t have a car, then we’d definitely recommend hiring one for your trip. Redding is just off Interstate 5, around a 3.5 hour drive north of San Francisco. You can also reach Redding by plane, with flights from San Francisco. Train and bus are also options, although the train times are a little inconvenient at time of writing. We stayed in the Bridgehouse B&B, a gorgeous little bed and breakfast about a five minute walk from the town centre and just above the Sacramento River. Our hostess was knowledgeable about the area, and sharing breakfast with fellow guests every morning was a wonderful experience. So that’s a great option. There are plenty of other places to stay of course, in both Redding and the greater Shasta Cascade region. Booking.com, one of our favourite ways to find the best deals, has a good number of options in the Redding area, which should cover most budgets and requirements. 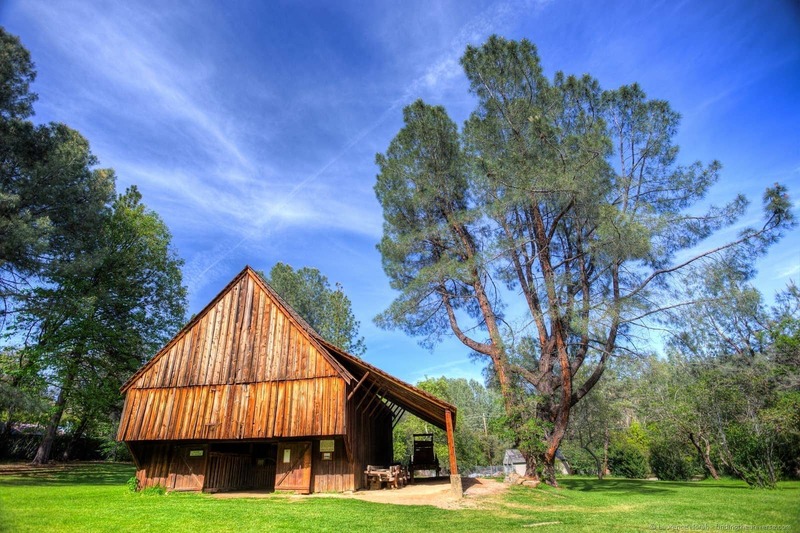 If you’re more into the sharing economy, then AirBnB has you covered, with loads of properties in the Redding area. Get up to $100 off your first booking with this link. And that’s it for Shasta Cascade! There’s loads more to do in this area, (get more ideas in Jessica’s extensive post on Shasta Cascade!) and we’ve only just touched upon the surface – somewhere we really want to visit next time being the Lassen Volcanic Park, Shasta’s version of Yellowstone. Have you visited this part of California before? Is it on your list? Let us know in the comments below! Our trip to Shasta Cascade and Redding was in partnership with the Shasta Cascade CVB, who covered our accommodation, meals and entry to all the attractions. All content and opinions remain our own. Route 66 in Arizona – All the highlights! I live about 8 hours away in Oregon. I can’t wait to for a long weekend and head to Shasta.